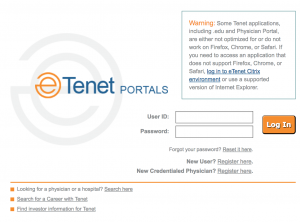 MyHR KP Portal is an HR benefits portal for Kaiser Permanente. It is used by Kaiser Permanente (short KP) for access to their HR information and transactions. It gives access to employee benefits, paychecks, W-2s and more. Only KP employees are authorized to use MyHR KP website. Before you proceed with entering your information into the website make sure that you’re browsing MyHR KP website. Lots of phishing attacks start with mail and URLs which lead to malicious websites. You can check out our Anti-phishing guide on how to quickly check SSL certificate for the MyHR KP and make sure that you’re accessing official MyHR KP website. In order for login you will need your National User ID and your Password. To Log in you need to navigate to https://epf.kp.org/wps/portal/hrpublic/home web page. If you have your User ID and Password you can type it there and click on “Sign On” button. If you never used MyHR KP portal before you need to activate you account first. For this you will need to click on “Activate your account” link. 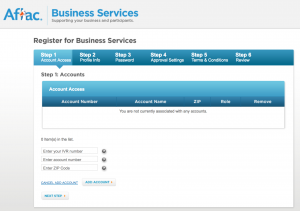 This will guide you through the steps required to activate your account. If you need to lookup your National User ID you can use following link https://idm.kp.org/kpidm/kp/showNUID.do to do it. 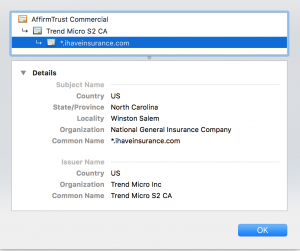 To search for National User ID you will need to enter your First and Last Name, Your Date of Birth and last 4 digits of your SSN. If you don’t remember your National User ID (NUID) you can click on “Lookup your NUID” link and search for it. For any other problems contact KP MyHR Customer Service. 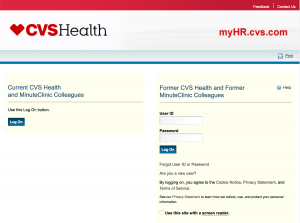 MyHR CVS Portal is an HR benefits portal for CVS Pharmacy. CVS Pharmacy is a subsidiary of the CVS Health, American retail and health care company. CVS Health is headquartered in Woonsocket, Rhode Island. MyHR CVS Portal is hosted and maintained by Aon Hewitt – the global leader in human resource consulting and outsourcing solutions. 1-888-694-7287 (888-my-HR-CVS) – For Health and Welfare, Press 2. To login into My HR CVS benefits portal you need to have User ID and Password for MyHR system. If you don’t have User ID and Password you can get it by clicking on “Are you a new user” link on CVS My HR Login page and following suggested steps. You will need last 4 digits of your SSN and your birth date to proceed with registration. As part of the registration, you will also set up a password hint which you can use in case you forget your password. If your password is “apple” you can use “fruit” as a password hint. But don’t create a password which consists of just of one word. Make sure to use digits and special symbols in the password. 1-888-694-7287 (888-myHR-CVS). For Health and Welfare, Press 2. Call between 8:00 a.m. and 8:00 p.m. Eastern time, Monday through Friday. Publix Passport is a Publix Associate Self Service Portal. Publix is an employee owned, American Supermarket, headquartered in Lakeland, Florida. It is a private corporation and is owned by its employees. It is considered the largest employee-owned corporation in the USA. Publix Passport portal could only be accessed by Publix employees or Publix stockholders. In order to access Publix Passport portal you need to have your Publix login which consists of username and password provided to you by Publix. Before you proceed with entering your login information into the Publix Passport portal make sure that you’re browsing authentic Publix Passport website. Many phishing attacks start with mail and URLs which lead to malicious websites. You can check out our Anti-phishing guide to avoid most frequent types of phishing attacks. Publix Passport Associate Self Service Portal is located on Publix.org domain. Publix.org domain uses HTTPS protocol and SSL encryption to protect its users. 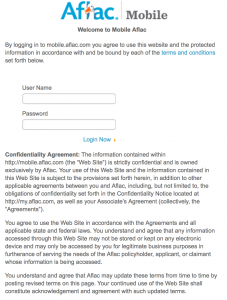 Certificate for this site is valid and current. When we checked the certificate for publix.org was issued by Symantec Corporation to “Publix Super Markets, Inc.”. It was issued to organizational unit named “I/T Security Engineering” located at Lakeland, Florida, USA. The common name “apps.publix.org” is used on this certificate.